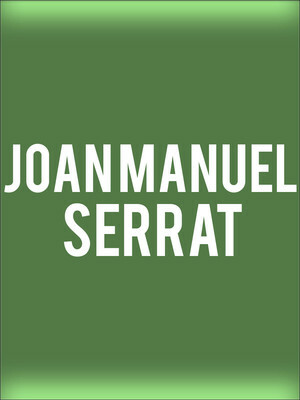 Joan Manuel Serrat was perhaps the most well-known and successful of the crop of singer-songwriters to come to prominence in a rapidly changing country in the late 60s and early 70s. Why See Joan Manuel Serrat? 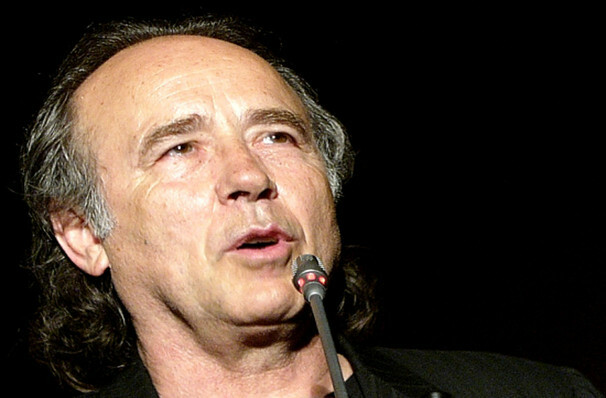 Spanish and Catalan singer Joan Manuel Serrat is widely regarded as one of the most important musicians in both of his languages. His smooth instrumentals and strong vocals will take him on tour across America over four decades after he first began making music. Serrat started to play the guitar at 17 years old and went on to release his most successful album to date 'Mediterraneo' in 1971, which includes some of his most popular songs 'la mujer que yo quiero,' 'pueblo blanco' and 'Que va a ser de ti.' The singers skilful body of work alongside his ability to sing and perform in both Spanish and Catalan languages has led to him receiving many awards and accolades. Serrat won an honorary Latin Grammy award in 2014 for Person of the Year and in 2010 was given the City of Barcelona Award for music. Seen Joan Manuel Serrat? Loved it? Hated it? Sound good to you? Share this page on social media and let your friends know about Joan Manuel Serrat at Beacon Theater.